Gone are the days when people used to do online shopping through their computers and laptops. Now they can just shop with the help of their mobile devices. 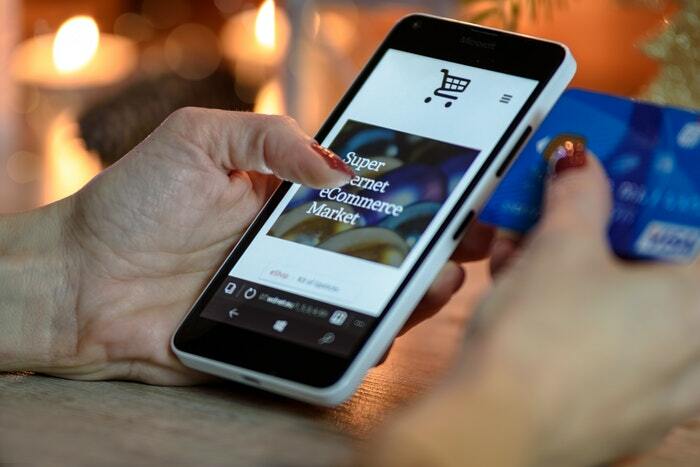 When the majority of the customers are using mobile phones for online purchasing, it is essential that e-commerce businesses make their website mobile friendly. Customers would find it difficult to access a website if it is not mobile responsive. Here are some amazing tips for mobile design which can help you make the right changes. Since there is limited space to showcase the features of your website, you would need to keep everything simple so that it doesn’t become chaos. Adding too many images and text can confuse the viewers. Make the design easy to navigate and make sure there are no distractions. Also, content should be short and snappy, so that it doesn’t take up too much space. This is a feature many website owners don’t consider. People close tabs in seconds if your website takes too long to load as they don’t have time for slow websites! You can optimize the size of banners and images which are placed on the website, and make sure that the overall page size is low. You can also use online tools such as GTmetrix to check website speed. Since you are running an e-commerce website, users are hesitant to share their personal information through a mobile device. For their safety, you can add a security seal to your website which shows that it is protected. You can purchase an SSL, as that will also change the HTTP in the domain to https (which is more credible). The key to designing a mobile web page is to consider the thumb action. Try to keep the important stuff in the middle so that it is easy to access. Avoid putting tiny links which have to be zoomed in to click. Also, make sure that the font is large because some people have a bigger thumb than usual.